One thousand acres of rustic beauty located in Quitman. Cabins, camping, water sports, beaches, and winding scenic drives. Open 8 a.m. until 5 p.m. Admission $1 per person. 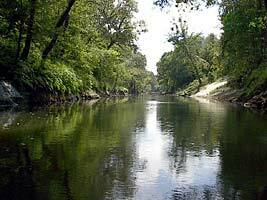 Rent a canoe and float the beautiful Chickasawhay River. Put in at Point Bridge on the Chunky River and float south all the way to Shubuta or select your own starting and destination points. Information or canoe rentals available at the Clarke County Chamber of Commerce. Some 815 acres of rolling woodlands and a 65-acre fresh water lake. 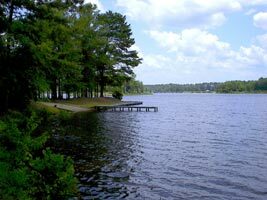 Vacation cabins, camping, tennis courts, picnic areas, and visitors’ center. Office opens 8 a.m. until 5 p.m. Park open 24 hours. 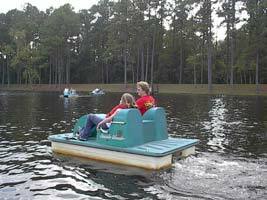 $2 per vehicle up to four people, 50 cents each additional person. 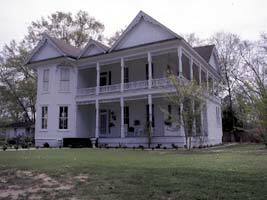 Take a driving tour of sites listed on the National Register of Historic Places, including East Enterprise Historical District, Clarke County Courthouse, and Methodist and Baptist churches in Shubuta. Free 24-page booklet provides self-guided tour. Call the Clarke County Chamber of Commerce for a copy. 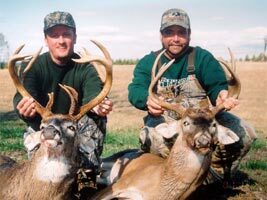 McKenna Ranch, located in Pachuta, is an outfitter for white-tail deer, Russian Boar, and wild turkey. Some might say that Clarke County offers some of the best hunting in the South. Two miles south of Quitman on Highway 45. Memorial to Confederate soldiers who died at Texas Field Hospital. 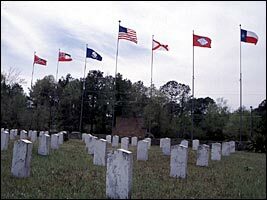 Flags fly to identify home states of soldiers buried at the cemetery. Soldiers wounded at battles of Iuka, Corinth, and Shiloh.